In the mid ’50s, Hank Mobley’s stature was roughly equivalent to that of John Coltrane and Sonny Rollins. 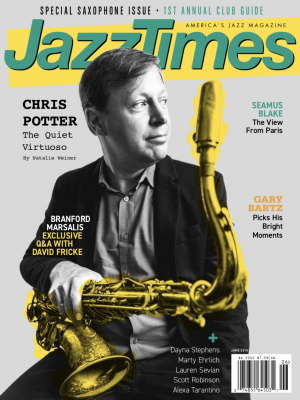 The three tenor saxophonists were members of era-defining ensembles (the Jazz Messengers, the Miles Davis Quintet, and Brown-Roach, Inc., respectively), distinctive stylists making the transition to being leaders in their own right. By the early ’60s, however, Mobley was eclipsed by the others, his rising star seemingly stalled. Consequently Mobley has been relegated to a relatively minor place in history, even though he was a, principal force in the hard bop movement from its inception in the mid ’50s to its autumnal glory of the mid to late ’60s. The 6-CD The Complete Blue Note Hank Mobley Sessions makes an excellent case for upgrading Mobley’s status. To an extent, this collection, which documents the sessions resulting in Mobley’s first nine albums as a leader (starting with The Hank Mobley Quartet, a ’55 outing with the original Messengers section of Horace Silver, Doug Watkins, and Art Blakey, and ending with Peckin’ Time, an early ’58 date with Lee Morgan, Wynton Kelly, Paul Chambers, and Charlie Persip), confirms the conventional wisdom: as a saxophonist, Mobley lacked Coltrane’s questing fervor and Rollins’ trenchancy. 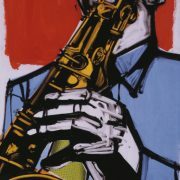 However, Mobley’s solos are consistently inventive and exciting; they are well designed and even tempered, never exhibiting the seemingly agitated rush of ideas and erratically soldered tangents that occasionally cropped up in Coltrane’s and Rollins’ work, respectively (even a tune called “Mobleymania” from ’56’s Hank Mobley Sextet with Donald Byrd, Morgan, Silver, Paul Chambers, and Persip, exemplified Mobley’s trademark straight-up ebullience). Mobley did not employ his contemporaries’ hard-edged sound-harsh, according to many critics-favoring a self-described “round” sound that conveyed both muscularity and agility in blowing vehicles, and great tenderness on ballads (“Deep In A Dream” is the case-in-point for Mobley’s prowess with ballads; it was waxed for Curtain Call, a ’57 session with Kenny Dorham, Sonny Clark, Jimmy Rowser, and Art Taylor). And, arguably, Mobley could toss off quotes with a more offhanded facility (check out “Startin’ From Scratch,” from ’57’s Hank Mobley Quintet with Art Farmer, Silver, Watkins, and Blakey). And, Mobley had a high trump card-his compositions. Coltrane had yet to secure his bearings as a writer, and Rollins had composed few enduring compositions by the time of Mobley’s first date as a leader. Mobley was at least as prolific, if not more so, than Rollins during this period, contributing penning 33 of the 47 compositions included in this collection. Like Rollins, Mobley had a firm grasp of how to implant surprising twists in his themes. Recorded in early ’57 for Hank Mobley and His All-Stars (Milt Jackson, Silver, Watkins, and Blakey), “Ultramarine” combines a slinky minor theme, sparing use of pedal point, and a subtle double-clutching device-where phrases hover momentarily before regaining rhythmic traction-with impressively sophisticated results. Mobley could insert odd structural elements into his tunes-like Silver’s three-bar lines tucked into the sleekly swinging ensemble of “Double Whammy” from Sextet-without disrupting the effortless flow of the material. Perhaps most importantly, Mobley seemed to innately know how a minimum of tension could pay off big, compositionally; this is particularly true of later pieces like “East of Brooklyn” (from ’57’s Poppin’ with Farmer, Pepper Adams, Clark, Chambers, and Philly Joe Jones), where clipped phrasing and Jones’ terse accents in the opening bars give way to a relaxed swinging resolution of the A section, setting up the solo-launching bridge. Additionally, Mobley was ubiquitous during this period; not only did he also lead sessions for Prestige and Savoy, but he was an effective sideman on numerous recordings. He also possessed a great ability to compose cogent pieces in mid-session. Why would it take almost two years to the day after Peckin’ Time for the ever-present Mobley to lead another Blue Note date? How did he fall so far behind the curve he so confidently rode on these Blue Note sessions that, by ’61, his work with Miles Davis was being shelved? There is, in all probability, an uncomfortable one-word answer: heroin. Mobley was candid in later years about its impact on his career, making his touching ballad “My Sin” (from Quartet) all the more intriguing. Imagine a physicist being off the scene between 1904 and ’06, and you begin to get an idea of Mobley’s dilemma. No matter how Mobley perfected his approach on ’60s Blue Notes like Soul Station and Workout, it was a paradigm of a by,gone era; Coltrane and Rollins had discovered how to move their art seemingly beyond the speed of light. Regardless, Mobley repeatedly makes time stand still in these sessions, whether the material at hand is a bittersweet ballad like “Fin de L’Affaire” (from Quintet), a soulful stroll like “Lower Stratosphere” (from All-Stars), or a flat-out bop sprint like “Hank’s Prank” (from Quartet). There are more than enough such moments in The Complete Blue Note Hank Mobley Fifties Sessions to conclude that he is one of jazz’s greats.